We have a variety of Tire Rebates that "rotate" on a regular basis. Check out our low, low prices! Please contact the Parts Department directly for current specials. "Do It Yourself" Parts Special! On maintenance parts purchased over the counter. Decide DIY is not for you? 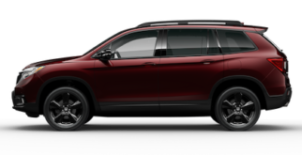 Have us install your part (fluids excluded) within 2 days of purchase, and receive 10% off the Labor which includes a Honda backed warranty on both Parts/Labor. 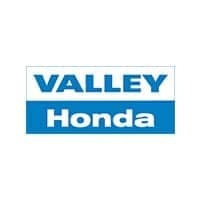 Valid only through the Valley Honda Service Dept. Parts and Labor must be billed to a Service Invoice. See Parts/Service Manager. Cannot be combined with any other offers. Coupon must be present at time of write up. While supplies last. The all new Remote Engine Start System is designed to provide convenience for Honda owners living in cold or hot climate conditions. Warm up your vehicle in the winter or cool it down in the summer. The remote emits a signal to the receiver unit that commands the vehicle system to start and stop the engine. Not available for manual transmission vehicles. Actual Remote may differ from photo depending on the model. Never start in an enclosed area as this may cause carbon monoxide buildup. Valid only at Valley Honda. Price plus tax. Cannot be combined with any other offers. Coupon must be present at time of write up. While supplies last.